As Kevin Spacey’s imminent retirement as Artistic Director of the Old Vic was honoured with a Gala this week, he spoke passionately about the need to endow the theatre to ensure the continued viability of the building and of the company’s ability to be an elite production house. Incoming Artistic Director Matthew Warchus unveiled his first season’s offering as well – and there was a hint at a new approach which may help the Old Vic on its planned road to financial security for the next generation. There is, of course, quality fare to whet the appetites of the serious theatre-goer: Timothy Spall in Pinter’s The Caretaker and a new version of Ibsen’s The Master Builder, translated by David Hare. But it is the inclusion of Groundhog Day the Musical which provides a pointer to a new approach. The musical version of the 1993 Bill Murray film is being written by Tim Minchin, who also wrote Matilda the Musical, which Warchus also directed. Unlike the National Theatre and the Royal Shakespeare Company, the Old Vic does not receive an ongoing public subsidy and is reliant on box office income, sponsorship and private donations. But if the Old Vic could create a musical which transfers to a long-term West End venue, it could provide a substantial income for the company. It has been announced that Groundhog Day will also open on Broadway, providing potential for more income. Transfers can be big business. The Royal Shakespeare Company has enjoyed huge income from Les Miserables for the past 30 years. Matilda has helped grow this income stream at the Cambridge Theatre in the West End and the Schubert Theatre on Broadway. The West End and Broadway runs of Wolf Hall and Bring Up The Bodies added to the RSC’s income last year. The RSC’s Annual Report shows income from ‘royalties/other income’ of £3.6 million for the 2013/4 financial year. The National Theatre also makes substantial income from transfers. In recent years, One Man, Two Guvnors and Warhorse have brought in huge sums, with The Curious Case Of The Dog In The Night-Time establishing itself as a third column more recently. Transfers are not risk-free as they have enormous running costs, but revenue (£39.7 million for FY 2013/4) exceed costs (£36.7 million) to give the National a profit of £3 million. 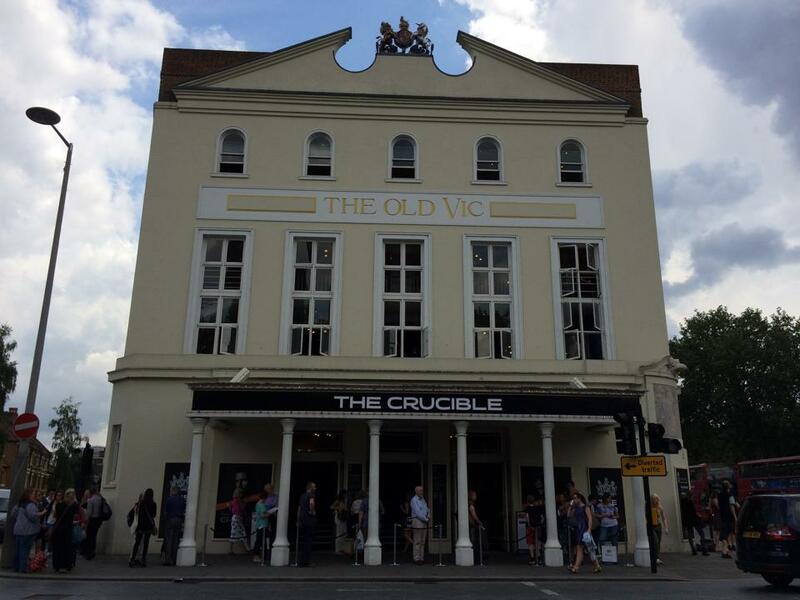 The Old Vic is seeking to build a substantial endowment to give it financial security for the future. The Arts Council of England has pledged £5 million in matching funds if the theatre can raise £10 million by July. This week’s star-studded Gala will have moved it much closer to that total. But creating a strong revenue stream from touring and transfer productions could help. In the most recent published Annual Report, the Old Vic reports revenue of £7.4 million from box office sales and a further £5.2 million from trading and fund-raising for total revenue of £12.6 million. If Groundhog Day is as successful as Warhorse or Matilda, it could generate £1 million per year or more and make a huge difference to the Old Vic’s future. A second successful transfer could allow the theatre to make more money from transfers than from fundraising. £2 million of extra income against a base revenue of £12.6 million would be an impressive increase and make a hugely positive impact on the Old Vic’s long-term future. This entry was posted in Uncategorized and tagged endowment, Groundhog Day, Groundhog Day The Musical, Income, kevin spacey, Les Mis, Matilda, Matthew Warchus, National Theatre, old vic, One Man Two Guvnors, profit, RSC, sales, The Curious Incident Of The Dog In The Night-Time, Transfer, warhorse by showbusinessinsights. Bookmark the permalink.